Complete your meal with a seared brown sugar sweet plantain African dessert recipe in just 15 minutes. Remove the skins from the plantains cut them in half lengthwise. Arrange the halves in a shallow pan. Melt the butter and mix it with the sugar and the vinegar. Pour a spoonful of the mixture over each plantain. Cook until soft about 5 minutes and remove from heat serve warm. 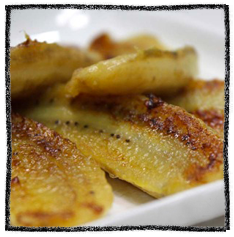 Plantains are a starchy fruit and are very versatile in the kitchen they are boiled, steamed, baked and fried. Plantains may look like bananas but they are longer, have thicker skin, and are starchier. 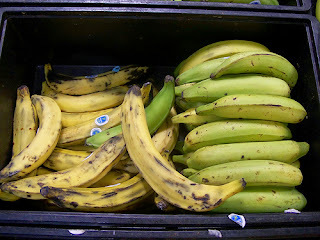 Plantains are a major staple in Africa and are usually eaten cooked unless they are very ripe. Plantains are especially important in sub-Saharan Africa.